I recently got married to a wonderful man named Shane (03/03/1982). He is such a blessing in my life. He’s great with my three children and is helping me raise them as if they were his own. My first marriage was at times awful. I’m sure our numbers were not good together. His name is Andy (01/18/1966), and I am Stacy (11/06/1971). Can you please give me some insight on this? I always enjoy reading a letter and then seeing the whole story validated by the numbers! It makes perfect sense to me that you were having trouble with your ex-husband. He was a 5 Life Path, and you are an 8 Life Path. When the 5 and the 8 come together, one of two things can happen: It can either feel “really good” or “really bad” as a couple. In your case, I am sure you two started out just fine, and then things took a turn for the worse. Your Attitude Number is an 8, and his Attitude Number is a 1, which is toxic in Numerology. It can make you feel competitive toward each other and cause a breakdown in communication. The days you were born, which is the “Appearance Number,” are a Natural Match. You were born on a 6 Day, and he was born on a 9 Day, and I am sure that is what first brought you together. However, it would not be enough to keep the relationship going. Now, as to this wonderful man you are with today, I say, “Congratulations, I am so happy for you!” He was born on a 3 Day, which is a Natural Match to your Birth Day Number 6. Your Life Path Number is an 8, and his Life Path Number is an 8, which is also a Natural Match. His Attitude Number 6 is compatible to your Attitude Number 8. So you have found yourself a healthy relationship where there is a tremendous understanding between the two of you. I can see by the Numbers that your first marriage was extremely difficult. I don’t know if substance abuse was involved —like drinking or drugs, but that could also be something that really hurt the relationship. Please keep this in mind regarding your new relationship: Since you and Shane are both 8 Life Paths, you will have some difficulty at times communicating. However, you can always flip this because the 8 has two perfect circles in it. If you find yourself going in a negative direction with your husband, you can always reverse course and bring peace back into your relationship. What a gift! 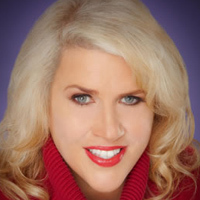 To learn more about Numerology and Numerologist Glynis McCants, visit www.numberslady.com.